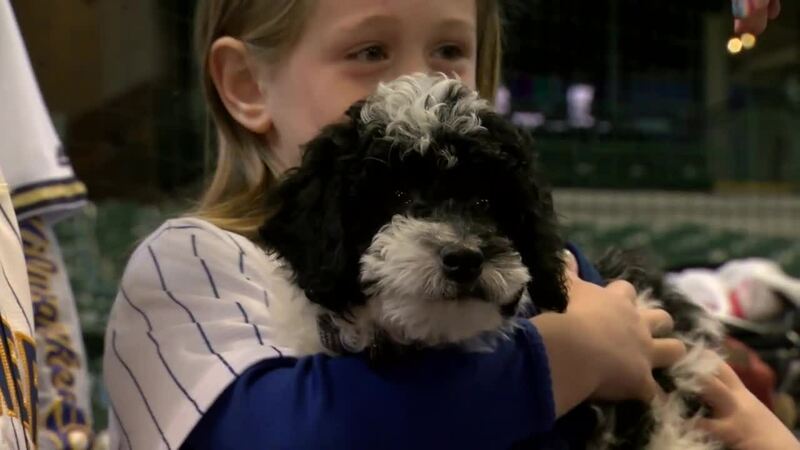 MILWAUKEE, Wis. — A sign a Muskego family thought would be a good way to get Christian Yelich’s attention actually got them a new dog. It was hand delivered by the Milwaukee Brewer during a batting practice surprise. The family did not stay for the game because they wanted to get their new puppy home. They hope to start training him to detect low blood sugar in Lola in the next few weeks.